ATLANTA—Explaining that the topic involves an elaborate web of military, political, and economic issues, CNN panelists warned Monday that the North Korea situation was way too complex for them to discuss intelligently. 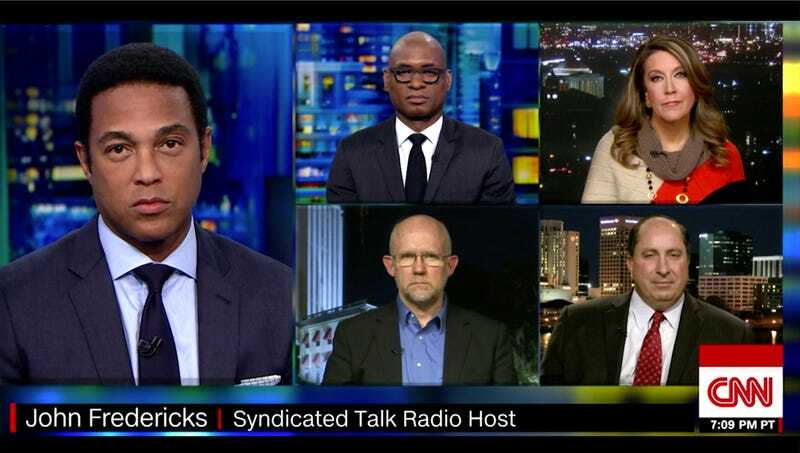 “Viewers should understand that a CNN panel has absolutely no business deliberating about the complicated geopolitical situation in North Korea and will instead spout the dumbest things possible,” said CNN Tonight host Don Lemon, who noted that the interwoven alliances and competing interests of nations like China and Japan made it impossible for a group of six random pundits to do anything but repeat meaningless platitudes, provide uninformed guesses, and start yelling at each other. “We can say ‘Trump’s a dealmaker,’ and we can repeat Kim Jong-un’s name a few times, but with so many intricate, unclear problems, you should realize that we can’t offer anything that even comes close to resembling real insight. Dealing with North Korea requires patience, tact, and a strong grasp of the multifaceted realities on the ground, none of which are possessed by any of the generic campaign strategist washouts who we hire at CNN.” Lemon also warned that the North Korea situation was likely to continue deteriorating if viewers didn’t turn off CNN and read something written by an actual expert.